HOUSTON (KTRK) -- Houston Texans all-world defensive end JJ Watt has racked up another honor. Watt was named the AFC Defensive Player of the Week for his performance against Jacksonville on Sunday. 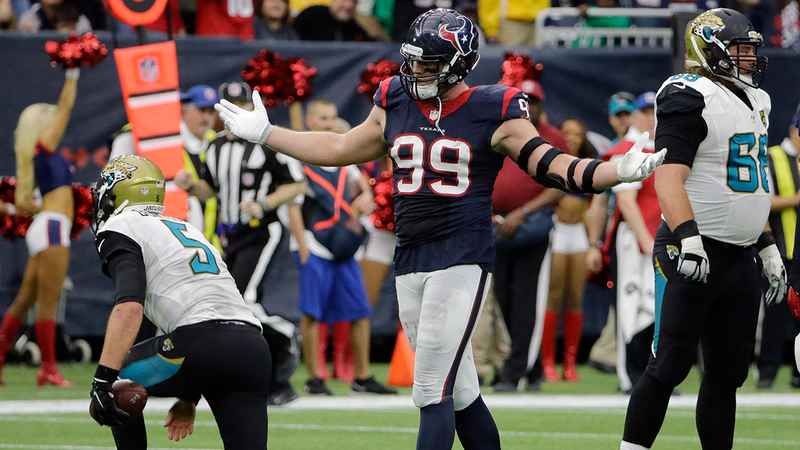 Watt led the team with eight tackles, three sacks, forced a fumble and recovered a fumble.